Ramblings of a Daydreamer: BBAW - I'm so glad to be part of the book blogging community! BBAW - I'm so glad to be part of the book blogging community! I’ll honest: because this is my first year book blogging, I didn’t really understand what BBAW (Book Blogger Appreciation Week) was all about, so I’m joining the party a little late. This has been another crazy week, and I just discovered the daily topics last night, so I want to participate today, but first, I want to talk a bit about what book blogging means to me. I started my blog last year as a place to share information about my writing and a little bit about my life. It wasn't until May of this year that I started blogging about books. It's hard to believe that it's only been four months, because it feels much longer! In the last four months, I have met countless amazing people. I don't have many friends who like to read, which has always been hard for me because I love to talk books, and have never had many people to do that with. I got my love of reading from my parents and my Grama. My Grama was an avid reader right up until she died 6 weeks ago, at the age of 99. She was sent 8 large print books a month from the library, and would often go through those and then get books from the library in her nursing home, or read books that friends and staff brought her. That was on top of reading magazines, re-reading the journals she had kept most of her life, knitting, painting, and taking part in the activities in her nursing home. I loved talking books with her, and even though she couldn't quite wrap her head around this whole blogging thing, she was pleased that I was enjoying it. She was my biggest fan. The last 6 weeks have been very difficult - her death left a huge hole in our lives and our hearts, but reading and blogging has been a saving grace for me. The support and encouragement I've received, the friends I've made - that, to me, is priceless, and I'm so grateful. 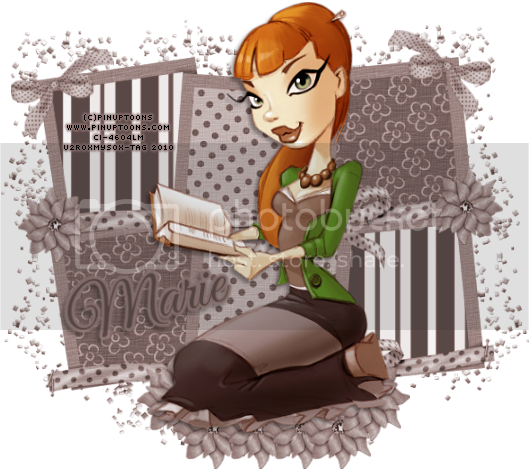 Readers: Book bloggers blog because we love reading. Has book blogging changed the way you read? Have you discovered books you never would have apart from book blogging? How has book blogging affected your book acquisition habits? Have you made new connections with other readers because of book blogging? Choose any one of these topics and share your thoughts today! Book blogging has changed the way I read. Before I started blogging, I had gotten away from YA books because I thought I was too old for them. Then I started blogging, and realized that people of all ages were reading and loving them, and a whole new world was opened up to me. How is it possible that I was missing out all this time? I have so much catching up to do! There are so many incredible books 'for teens' that I relate to better than a lot of 'adult' books out there. Don't get me wrong, I still love adult fiction, but I'm absolutely addicted to YA now. And I'm certainly not alone; it seems that at least 3/4 of the blogs I come across these days are dedicated to YA books. That was actually part of what convinced me to change my novel into a YA story - I figured with both teens and adults reading young adult books, I'd have twice the potential audience. I think this is a really exciting time to be both a YA reader and writer. Since it is BBAW, I'd like to show my appreciation to a few specific bloggers who have come to mean a lot to me. I could write a little individual blurb for each of these lovely ladies, but it basically comes down to this: they are wonderful, kind, supportive, have great taste in books, and lots of fun stuff on their blogs. People like this are the reason I love being a book blogger. I look forward to visiting their blogs and seeing what they’re up to, and I always have a big smile on my face when they come to visit me and I read their comments. Thank you Melissa from Just One Opinon, Molli from Once Upon a Prologue, Patricia from My Journey Through the Pages, Jessica from Thoughts at One in the Morning, and Lea from LC's Adventures in Libaryland. You guys ROCK! Thank you to all the book bloggers out there, both new and old. Thank you for being so welcoming, and so ready to share your love of the written word. I'm so lucky that I get to chat every day with people who love to read as much as I do and who get that books can sometimes be the best friends we have. When people tell me that they're going to read a book based on a review I wrote, or tell me that they felt the same way about a book that's near and dear to me, I realize I'm not so alone anymore. When people leave genuine, thoughtful, heartfelt comments on my posts, I feel special, which is a rarity in my life. So thank you. I am truly blessed, and also truly grateful. I'm pretty new to book blogging, too, and I agree that my reading has changed because of it. I read way more books now than I ever used to and I know what's going on with the books in the book industry. I know which books are selling better than others and what's living up to the hype, etc., etc. It's so much fun! Plus, people who blog about books just rock! They are such nice, supportive people and I'm so glad I started doing this.